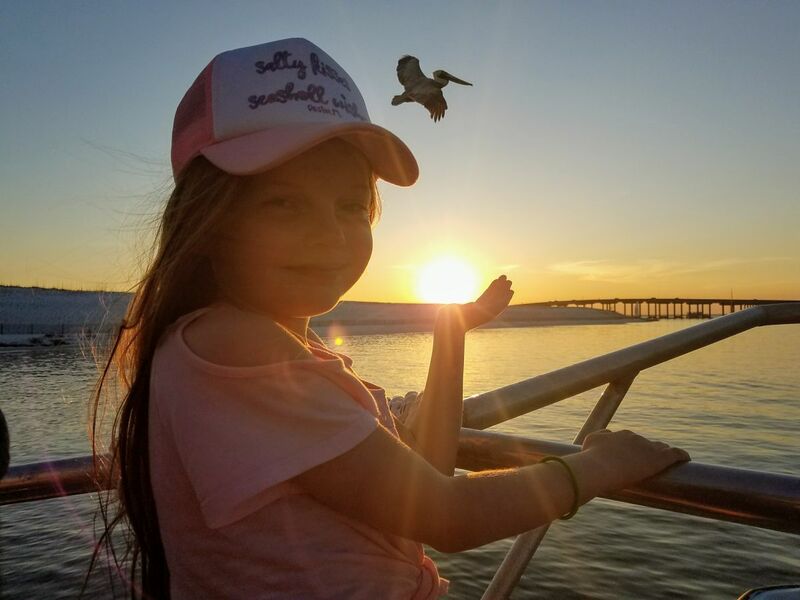 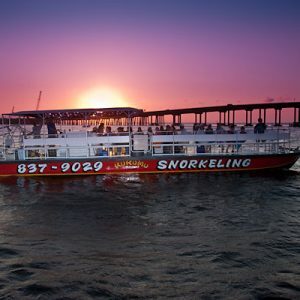 Destin Snorkel’s Dolphin Sunset Cruise is more than ‘just a dolphin cruise’. 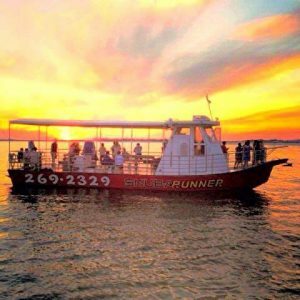 Coolers are welcome for guests over 21 if you would like to bring your own alcoholic beverage; no glass please. 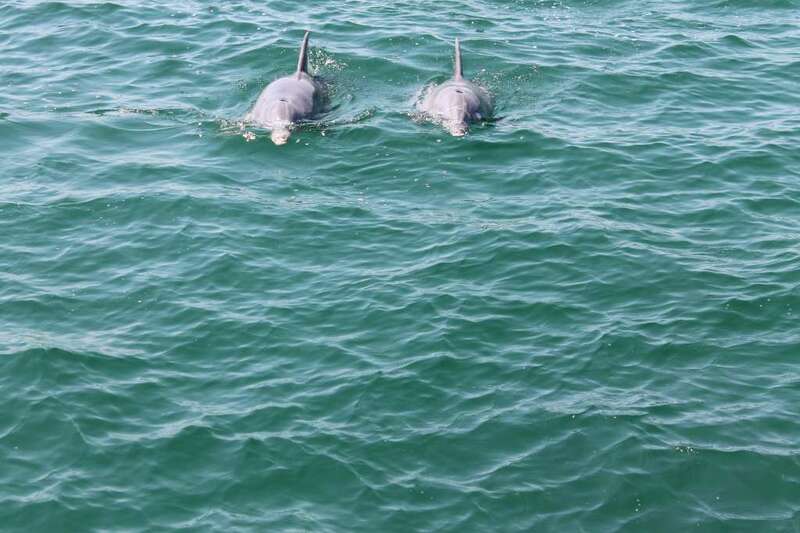 Our success rate in finding dolphin is about 95%. 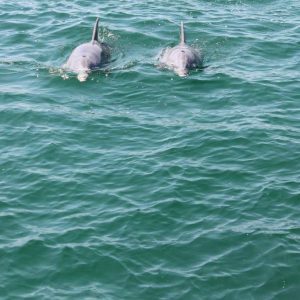 Our Captain and crew will take you into the Gulf and Bay in search of dolphin. 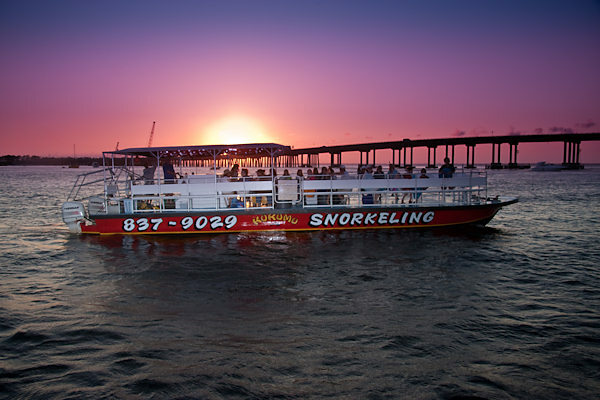 All of our vessels have a restroom on board, comfortable seating, and a canopy for shade. 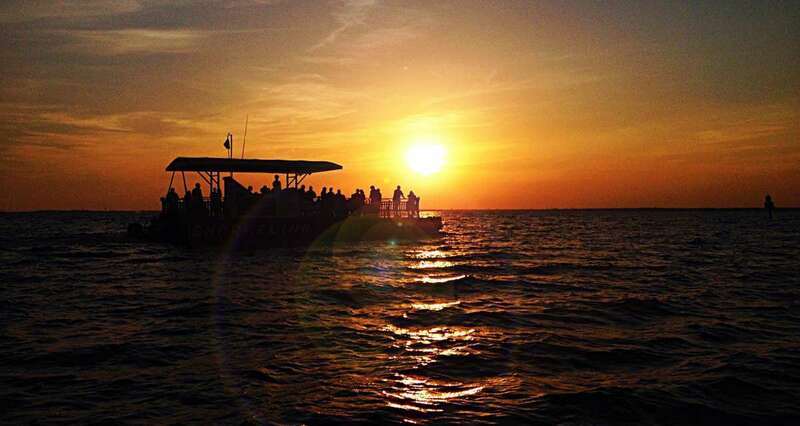 This 90 minute Dolphin Cruise begins with a cruise of the Destin Harbor. We will point out areas of interest, restaurants, and the fishing fleet that surrounds the harbor area. 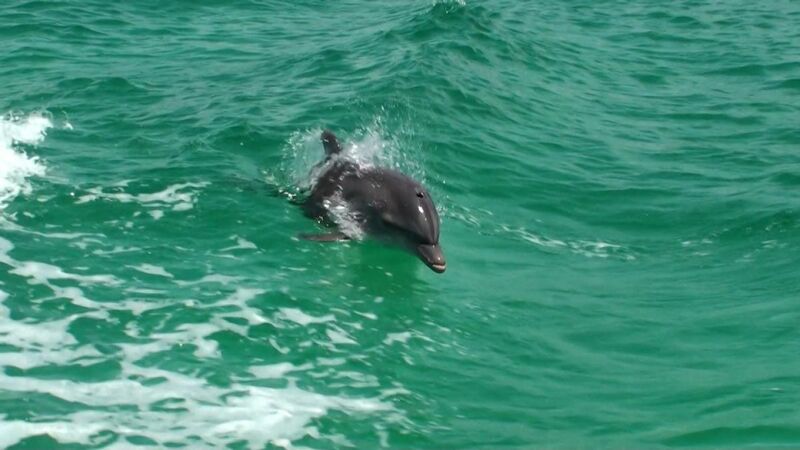 Then we’ll go out the Destin Pass to the Gulf of Mexico and give you a look at the beautiful emerald water and sugar white beaches that makes Destin so famous. 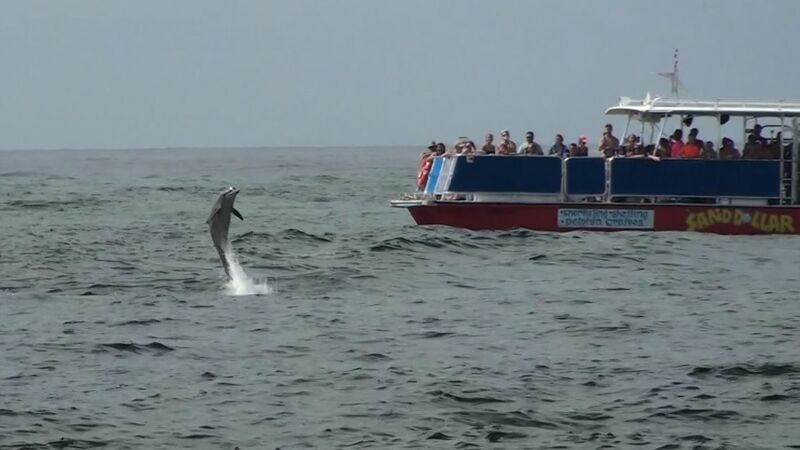 Anytime during the tour, you may see dolphin playing alongside the boat. 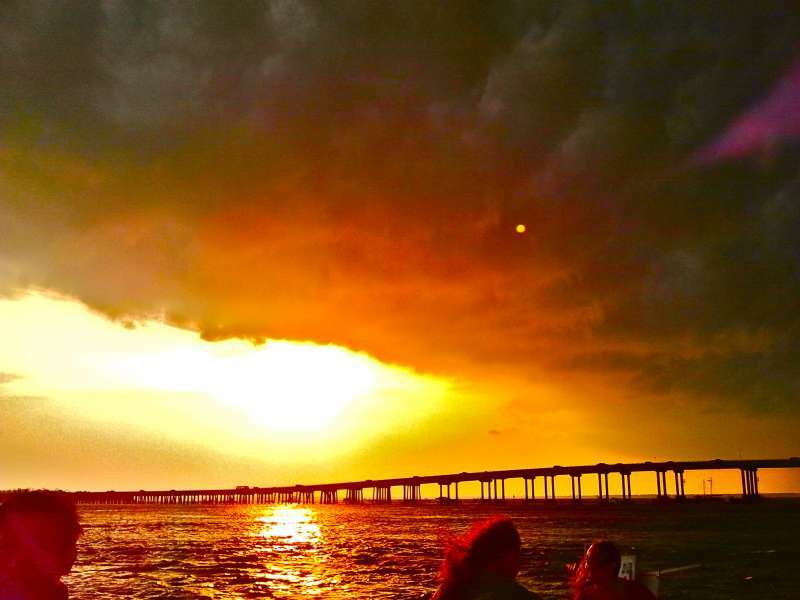 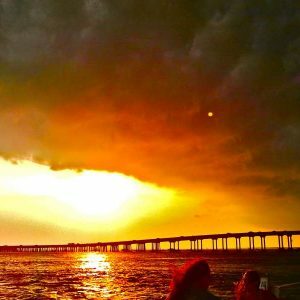 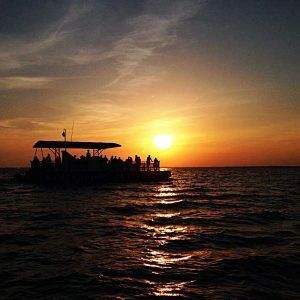 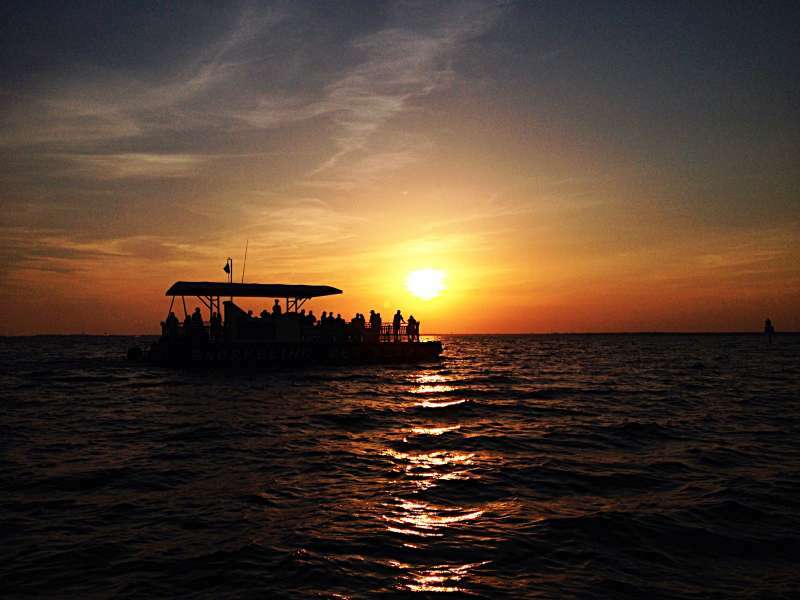 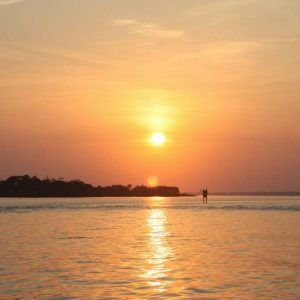 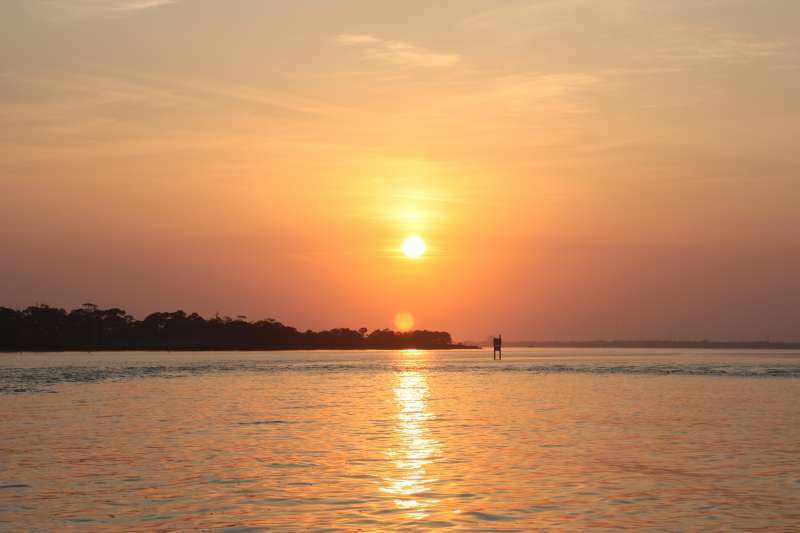 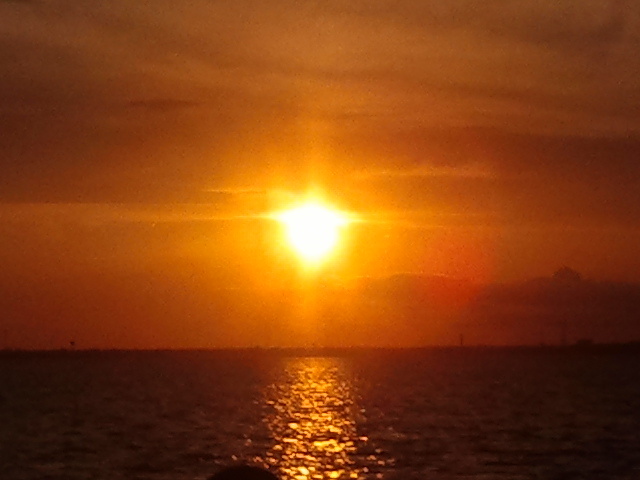 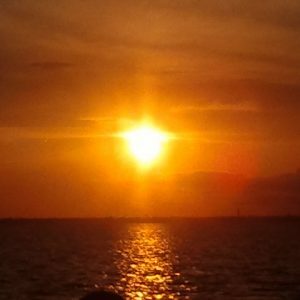 Then enjoy a beautiful sunset either in the Gulf of Mexico or Choctawhatchee Bay. 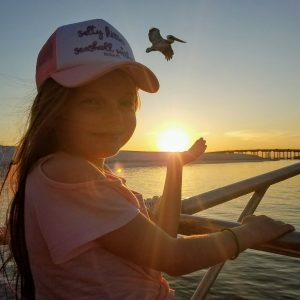 It is a great, affordable evening for the whole family. 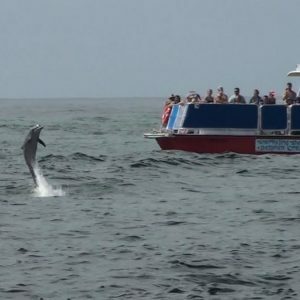 Book your Dolphin Cruise today!